Fabiano Lemes de Oliveira, Portsmouth. Heather Rumble, Portsmouth. Mark Goddard, Newcastle. Fabio Angeoletto, Rondonópolis. Pedro Britto, Goiânia. Silvio Caputo, Portsmouth. Stuart Connop, London. Karla Emmanuela Ribeiro Hora, Goiânia. Caroline Nash, London. 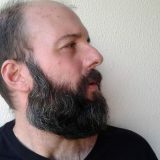 Braulio Romeiro, Goiânia. Although Brazilian cities have, historically, developed with a strong presence of nature, rapid and often uncontrolled growth poses serious risks to the environment and quality of life of urban dwellers. 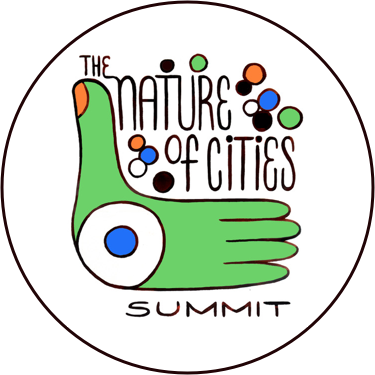 There is strong interest in the theme of re-naturing cities, since “naturalizing” cities can help address multiple global societal challenges and generate benefits, such as the enhancement of health and well-being, sustainable urbanisation, the provision of ecosystems and their services, and resilience to climate change. But, what are the theories, strategies and methodologies that can be used to re-nature our cities? How can we plan with nature? What are the models and approaches that can be used to enhance the presence of high-quality green spaces in our urban areas? And how to move from theory to practice? 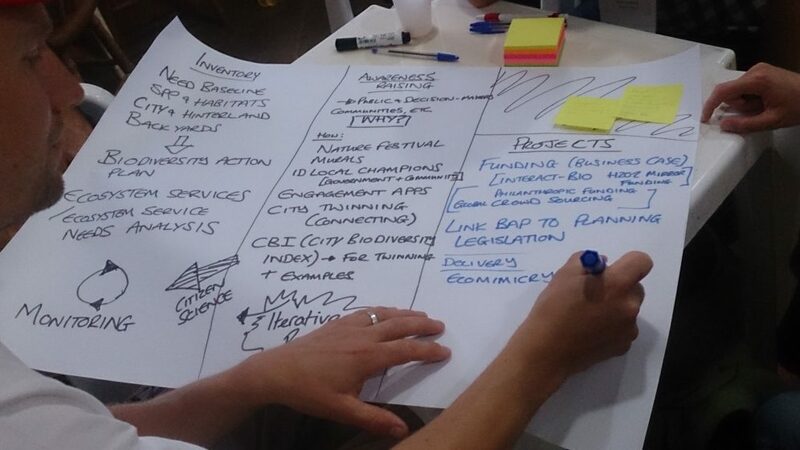 These were essential questions debated in a four-day workshop organised in Goiânia, Brazil. Funded by the British Council and Fundação de Apoio à Pesquisa do Estado de Goiás (FAPEG), under the Newton Fund Researcher Links Programme, the workshop brought together policymakers and approximately 40 researchers from the UK and Brazil from a range of disciplines, such as urban ecology, town planning, biology, architecture, landscape planning and geography. The workshop was a forum for transnational synthesis of knowledge on the topic and generated valuable insights into how academics, planners and policymakers could apply this knowledge to their cities and regions. All selected participants, coordinators and tutors presented their research. These included speeches by organisers Fabiano Lemes de Oliveira on his green wedges research and Pedro Britto’s on the social side of sustainability; as well as talks on urban agriculture by Silvio Caputo, the ecology of green roofs by Heather Rumble and the blue space planning of Goiânia by Karla Emmanuela. There were eight research sessions: Planning Greener Cities; Urban and Environmental policy; GIS, Building Information Modelling (BIM) and City Information Modelling (CIM) for Re-naturing; Blue Spaces; Ecology and Biodiversity; Climate Change and Resilience; Perceptions, Health and Wellbeing; and Between Formal and Informal. This session made manifest the need for considering urbanisation and nature together, the importance of proactive and positive planning, the definition of systems of interconnected green and blue spaces at multiple scales, the roles of communities in shaping their environment and the benefits of considering urban metabolism as a way to further embed the understanding of processes in spatial planning. A positive and systemic mode of planning has the capacity to integrate needs, potentialising the benefits derived from the different systems and resolving their pitfalls in an integrated manner. As such, Camila Sant’Anna called for a focus on hybrid landscapes, where the green-grey divide no longer exists. The overcoming of such dichotomy and the challenges of implementation were explored at the metropolitan scale by Julia Leite Rodrigues’ proposal for ecological corridors and green wedges for São Paulo, and at the city-scale by Karin Meneguetti in her application of landscape ecology principles to various cities in the south of Brazil. In order to move from planning theory to implementation, Ian Mell emphasised the importance of understanding the economic and social values of existing and proposed green infrastructure, as well as the assessment of policy. Daniela Perroti, in turn, explored how urban metabolism—understood as the sum of the technical and socio-economic processes that occur in cities, resulting in energy and material supply, growth, and elimination of waste—could present frameworks for the planning and designing of greener and more resilient cities. The session highlighted the need for a conjoined understanding of natural and man-made processes if we are ever to be successful in re-naturing our cities. If we were to re-naturalise our living environments, understanding the different connotations of the term, local challenges and opportunities is crucial. How can re-naturalisation take place in an increasingly urbanised world? How can urban, rural and environmental policies be intertwined? 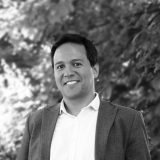 José A. T. e Silva addressed these questions from the perspective of the Brazilian hyperurbanisation reality. He argued that, in a country where approximately 90 percent of people live in urban areas, the integration of different public policies needs to occur and be considered at varying scales for an effective improvement in the balance between urban and non-urban. From the legal perspective, Luciene Araujo highlighted that the relationship between city and the countryside ought to be considered in a systemic manner and that payment for ecosystem services and economic incentives for re-naturing ought to become mainstream practice. The session was marked by feeling that there is a problematic misalignment between Brazilian urban policies and the needs of re-naturalisation. Mariana Santos highlighted the frequent disconnect between planning and policy, in particular in regard to water resources. Glauco Cocozza closed the session speaking of the impact that policies and private land ownership can have on the fragmentation of urban green spaces and impoverishment of their ecosystem services, using Uberlândia as a case study. Final discussions centred on how economic and political actors, as well as effective public participation, could be interlinked and triggered to bridge the gap between reality and a greener future. An essential point of discussion in this session was how to employ computation and big data to deepen our knowledge of urban and natural spaces, as well as to better balance urbanisation and nature in our cities. Elena Cantarello, for instance, looked into quantifying the resilience of multiple ecosystem services and biodiversity in a temperate urban forest using Landis-II as a modelling tool, and also presented a cost–benefit analysis of ecological networks assessed through spatial analysis of ecosystem services using ArcGIS and Ilwis. Rômulo Ribeiro and Josiane Giesta called for the use of GIS as a way to enhance the precision of objective data collection for city planning and how the provision of BIM/ CIM training for planning officers can support the development of public policies locally. The theme of data collection and its use, but from a participatory, people-centred perspective was also discussed. Junia Borges proposed the use of crowdsourcing and Volunteer Geographic Information (VGI), leading to the creation of substantial databases that, in turn, would support decision-making processes. Combining objective and subjective data through a mixed-methods approach, Ying Li mapped people’s use of public spaces and their preferences in order to develop an assessment tool and design guidance. It was evident that this is a growing field of research, with much potential to support evidence-based decision-making processes. The use of such tools for the construction of solid, openly available and retrievable knowledge about our cities and green spaces, if combined with a participatory, systemic and integrative planning approaches, could provide pathways for the construction of greener and more balanced cities. The planning of blue infrastructure has increasingly become a fundamental strategy to build resilient and sustainable cities. This session focused on water from four distinct perspectives: contemplative, memory, planning and technology. Deborah Cracknell looked into people’s psychological and physiological response to water landscapes, in particular aquariums, showing that these were at least as preferred and potentially restorative as green space. Mary Gearey explored how our connections to our intimate landscapes alter our perception of climate change impacts and our future lives together. She argued for the need to understand how local actors perceive and respond to changes in their local environment to help develop strategies and tools in support of sustainable futures. José Guilherme Schutzer called for drainage basins to be at the centre of regional planning. Lastly, Komali Kantamaneni focused on the role of technology in supporting resilient environments in face of extreme weather events. The multifaceted dimensions of blue spaces were central to the discussions held about the importance of further understanding the roles that blue spaces play for both the resilience of living beings and their environments. 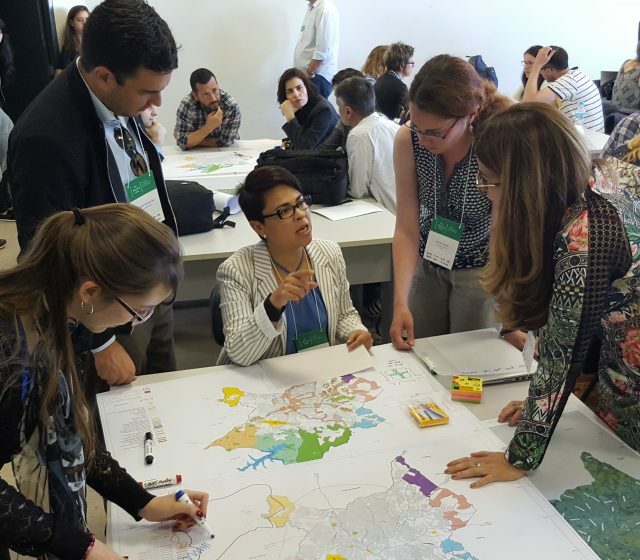 Discussing contrasts between urban ecological research in the UK and Brazil, a biodiversity hotspot, was enlightening for all those involved in the Goiânia workshop. The city environment offers rich opportunities for ecologists; understanding the unique mix of organisms and how these can contribute to improving urban ecosystem functioning is key to renaturing. Recognition that cities can be a valuable habitat for many plants and animals is growing. It was quite apparent, however, that whilst some of the barriers and opportunities for urban colonisation were common between different geographical locations, some stark differences existed in terms of the perceptions of urban ecology and the mechanisms being adopted to promote biodiversity in cities. Researchers from the UK capitalised on technology in cities, highlighting the potential of using green roofs, green walls, engineered soils and other green infrastructure to mitigate habitat loss. For example, designing green roofs and soft-landscaping using ecomimicry of locally important habitats was shown to generate improved remediation for habitat lost in brownfield development. Another theme was the need to frame urban ecological research in terms of the economic and societal benefits it can provide, the ‘ecosystem services’. In this context, brownfield sites were again, identified as a key urban habitat, given the potential of brownfield soils for capturing carbon through the formation of soil carbonates. Our Brazilian counterpart, Fabio Angeoletto, described the challenges of urban ecology in Brazil, highlighting that nature is often thought of as occurring outside cities. The research being conducted in Brazil focused on collecting the detailed evidence needed to understand urban ecosystems and protect biodiversity, without applying an economic value. Fabio’s work spans from understanding the impact of domestic cats on city animals to trying to halt the reduction in nest sites for the blue and yellow macaw, Ara ararauna. We discussed that this latter approach, “reductionist” research, is often assumed to have been done in the UK, with pressure to produce more “emergent” research that is immediately applicable. But there is still much we don’t understand about urban ecosystems, limiting our ability to effectively apply ecological solutions. Thus, together, the approaches of UK and Brazilian ecologists, could provide effective strategies for renaturing, valuing nature as a tool to improve cities whilst capitalising on the inherent ability of nature to inspire us. The five presentations of this session covered a spectrum of approaches to climate change and urban resilience that ranged from technology-based solutions to enhanced stakeholder participation. Presentations focused on two particular aspects of climate change, namely, Urban Heat Island (UHI) and flooding. The technology-based approaches to climate change and resilience include the use of modelling software, providing an accurate understanding of the physical factors triggering higher mean temperature, which was applied in a study on the area of Salford University campus. The same study presented several techniques for data collection, the equipment necessary for this collection and the appropriate scale of study. A second presentation focusing on the UHI, presented a case study in Leeds, which specifically examined the potential for mitigation of the greenery, demonstrating how trees are more effective than grassland. Finally, a presentation of an urban microclimate mapping project in Goiania demonstrated the value of developing long-term scenarios – through dedicated software – which can be used as tools to generate policies addressing negative impacts of the UHI. 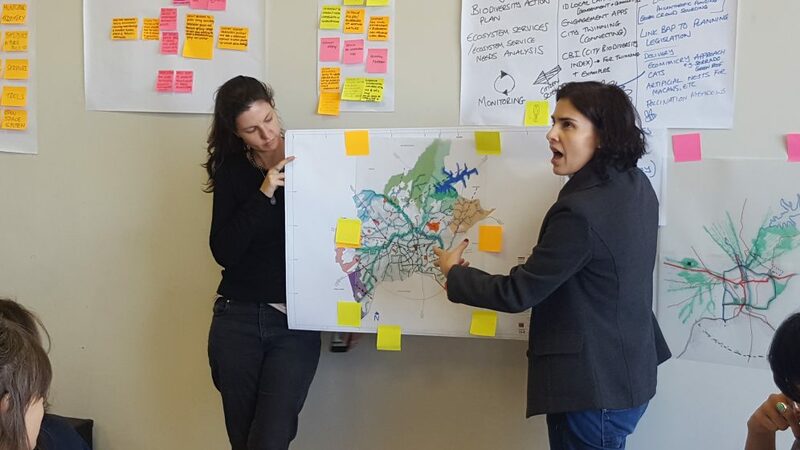 Stakeholder engagement-based approaches included a study on a governance model of flood risk management, which puts at its heart local communities and the nurturing of people’s connectedness and risk awareness. 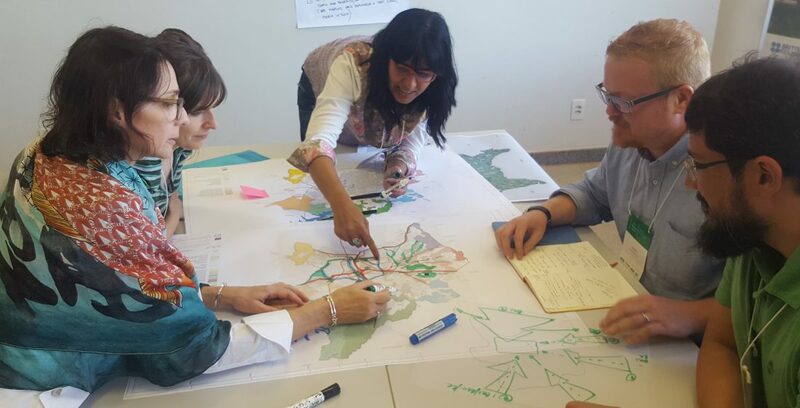 Similarly, a case study looking at three South American border cities in spatial proximity, albeit each one in a different country, exposed the significance of cooperation and coordination across boundaries, which can lead to higher effectiveness of policies that are already, to some extent, addressing climate change locally. The range of studies presented suggested that research in this area must integrate both approaches and explore solutions capable of merging engineered approaches with a deeper understanding of socio-political dynamics. This session explored the influence on the level of urban well-being of several factors comprising the shape and characteristics of the built environment as well as the methodological approach to design interventions fit for purpose. The connection between health and a fair built environment was illustrated in a study on some Brazilian cities. A fair city is one in which access to services, the provision of green areas and the quality of the built environment at large is available to all. The study demonstrated the connection between urban areas where equitable availability is lacking and threats to health, such as obesity. The effect of the spatial configuration of places on people’s behaviour was clearly demonstrated in a study on three squares in Belo Horizonte, where the quality of walking was influenced by the design of such squares. The amplitude of open spaces, presence of water, biodiversity and climatic conditions were found to be key aspects that, in the perception of passers-by, improved the square’s attractiveness and urban value. Other studies focused more on theories and approaches to enhance urban well-being. The first one emphasised the importance of embracing complexity to improve the well-being of communities. Interaction with green spaces, a recognised condition that can improve life quality, must be complemented with other factors such as physical activity and social interaction in order to yield multiple benefits. Embracing complexity also entails the hybridisation of theories and approaches on urban design well-being with those related to behavioural change and environment-behaviour. The second one reviewed theories that specifically connect nature with well-being such as biophilia, environmental psychology and ecological models of human health. It proceeded to review methodologies to ascertain this connection, based on statistics and ethnographic approaches. It finally presented a project focusing on the construction of an edible green wall in a school in Scotland, which put in practice some of the findings derived by the theories mentioned. Although Brazilian cities have, historically, developed with a strong presence of nature, rapid and often uncontrolled growth poses serious risks to the environment and quality of life of urban dwellers. In this context, do formality, informality and in-between conditions lead to different pathways for re-naturing cities? How do such conditions forge our relationships with nature? 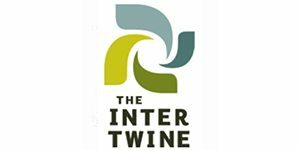 What are the roles of policy and practice in situations where bottom-up meets top-down? Veronica Donoso investigated social practices in social housing open spaces. Often in in-between conditions, these spaces were explored from their potential in redefining and being defined by people’s wishes, aspirations and relationship with the city in which they live. An historical perspective of the changing nature of what re-naturing meant for cities in the long run was brought about by Aline Silva, who presented an archaeology of historic gardens in Recife, João Pessoa and Fortaleza in Brazil. This was allied with a longitudinal study of tree species selection. As such, Silva correlated time-located ideological views of these landscapes with the choice of species. Fabiana Izaga explored the changing nature of informal landscapes in favelas in Rio de Janeiro. Large-scale events such as the World Cup and the Olympics impacted not only on the formal city, but also led to processes of transformation of favelas. Tourism has linked the visitors’ interest in the favelas themselves with their environment. The often conflicting dimensions of places discussed in this session tend to point to conditions of varying hybridism, which must be understood for an effective, inclusive and positive transformation of cities. Efforts to re-nature cities must involve a proactive planning approach. The planning and implementation of networks of green and blue spaces must be systematically integrated into comprehensive planning frameworks. A shared understanding of the urban challenges and their potential solutions ought to be co-developed, alongside an inclusive approach to participation. We must take an evidence-based approach to re-naturing cities. This requires the collection of baseline data, monitoring and establishment of measurable targets that allow an actionable approach to urban biodiversity conservation, and ecosystem service provision. We must make the business case for the value of urban green and blue infrastructure by identifying and communicating the social, economic and environmental benefits at multiple scales to communities and decision-makers. The development of policy mechanisms to potentialise the re-naturing of cities needs to be developed and implemented in practice. This should include the definition of key baseline indicators and incentives for further re-naturing. Environmental justice for all must be an objective. This involves better understanding of how urban green infrastructure and biodiversity influence health and well-being, and policies aimed at overcoming inequalities regarding access to ecosystem services. Re-naturing is as much about a sustainable future as it is about a resilient one. Re-naturing strategies must aim at reducing cities’ environmental impact on the planet as well as offer mitigation strategies. New technologies and novel nature-based solutions for re-naturing cities need to be considered. This can range from the creation of scenarios using GIS that simulate the outcomes of proposals and policies, to the use of social media to garner public opinion and values, through to engineering soils to capture carbon and mitigate climate change impacts. Heather’s interests are broad. 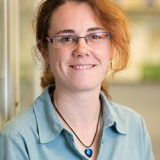 Whilst Heather’s work still focusses very strongly on the soil ecology of urban habitats, she has also worked on the hydraulic properties of living walls and the ecology of invasive species. She is currently working on a project that explores the barriers and benefits of using hydroponic systems in community gardens. Fabio is a researcher and permanent professor of the Master’s degree course in Geography at UFMT, Rondonópolis campus - research line Geotechnology Applied to Environmental Management and Analysis. In addition, he coordinates the project Urban Biodiversity of Rondonópolis. 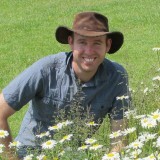 He is a Senior Lecturer at Portsmouth School of Architecture. Silvio’s PhD investigation is on Urban Resilience, intended as the capability of cities to perform sustainably over their entire life cycle. 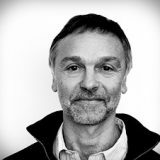 Connected to the idea of urban resilience is also social- ecological resilience and related practices such as urban agriculture, which is his current focus of investigation. 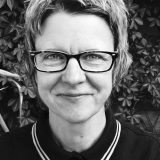 He recently co-edited ‘Urban Allotment Gardens in Europe’ published by Routledge, a book illustrating the outcomes of a COST Action on urban allotments, which looks at urban agriculture from a cross-disciplinary perspective. 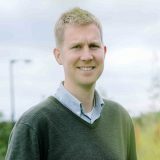 Dr Stuart Connop is a Senior Research Fellow in the University of East London's Sustainability Research Institute specialising in biomimicry/ecomimicry in urban green infrastructure design. Braulio is the head of the Department of Architecture and Urbanism at Universidade Federal de Goiás. In 2008 he was awarded his Master’s degree by the University of São Paulo (EESC). His research interests include the relationships between art, architecture and the city. 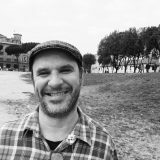 Fabiano's book, “Green Wedge Urbanism: History, Theory and Contemporary Practice” was published by Bloomsbury in February 2017. He was the overall and UK coordinator of the Newton Fund workshop ‘Re-naturing cities: theories, strategies and methodologies’.